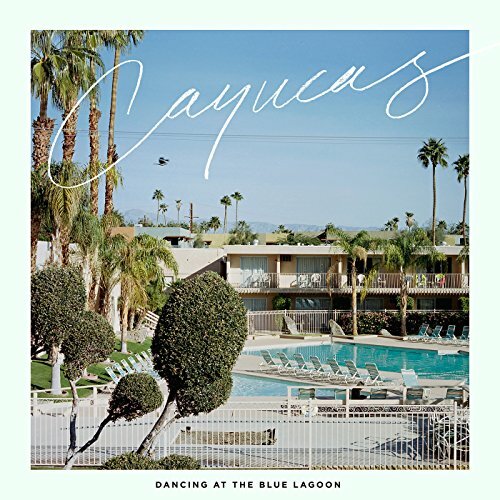 Straight out of sun-kissed Santa Monica comes the gorgeous sound of Cayucas' fourth album, Dancing at the Blue Lagoon. The surfer-pop soul of Foster the People is chanelled in highlight 'Moony Eyed Walrus', with jungle drums and a beat you will be bopping along to all day long. Opener 'Big Winter Jacket' starts off slow with a yearning synth-beat which builds into a solid start with just a hint of what's to come. 'Ditches' pulls a similiar trick: it seems we will be getting a sombre piano ballad but by the time we're finished, the song has become a rousing anthem.Title track 'Dancing at the Blue Lagoon', meanwhile, is a wonderful slice of funky surf-pop straight out a sunny paradise full of banjo guitars a delightful latino rhythm. The only disappointment here is 'Champion', which feels a little disjointed, somewhere between a ballad and a straight-up pop song. Closer 'Blue Lagoon' slows things right down just the like the fire going out on that perfect summer night after the greatest surfer party of your life. Dancing at the Blue Lagoon is certainly a highlight of the year so far, with many rich moments and delicious beats straight from the beach and beyond.